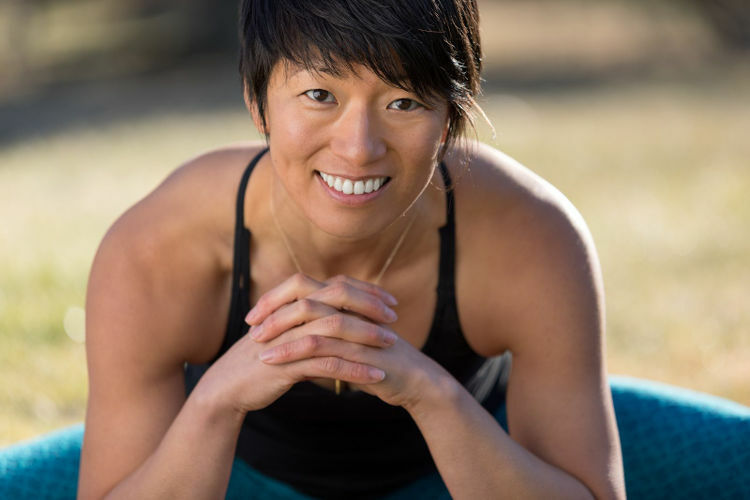 Yuki Tsuji is a certified AcroYoga/yoga teacher and a licensed Thai massage therapist/teacher. She has enjoyed building a thriving AcroYoga community in her hometown Boulder, Colorado as well as traveling near and far to grow the community globally. She has been a teacher and a coach in many different disciplines for the last 13 years, including AcroYoga, yoga, Thai massage, handstand, dance-climb fusion for AscenDance Project, skydiving and body flight. She’s also an AcroYoga Elemental, Lunar and Solar immersion teacher. She has been known as a radiant, passionate and empathetic teacher who loves to connect deeply. She started her yoga practice in 1999 and since then, yoga has always anchored her personal and professional life. She has a strong background in Iyengar Yoga practice. One of her first teacher trainings was with Nancy Stechart who is a senior Iyengar Yoga Teacher in Hotchkiss CO. However, AcroYoga has had the biggest influence on her. She believes AcroYoga is the way to connect people all over the world. Her passion for teaching AcroYoga lies in seeing the playful spirit emerge in her students and cultivating a boundless creative community. In her class, she encourages freedom of expression, movement, safe communication as well as the process of self-discovery through partner work. Her other passion is to teach handstand. Her teachers are Jason Nemer of AcroYoga, Jean-Luc Martin of San Diego Circus Center as well as Master Lu Yi from San Francisco Circus Center. When she’s not teaching, she’s at her private office in East Boulder to give Thai massage sessions and private yoga/handstand sessions. She enjoys one on one time with clients as much as teaching a group of students. Rock climbing has become an essential part of her life since 2006. 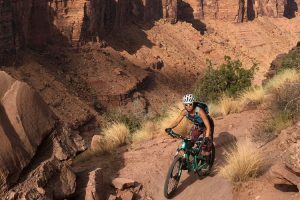 Living in Colorado, she now enjoys multiple outdoor sports such as climbing, backcountry skiing, mountain biking, trail running, hiking, cross-country skiing and more. 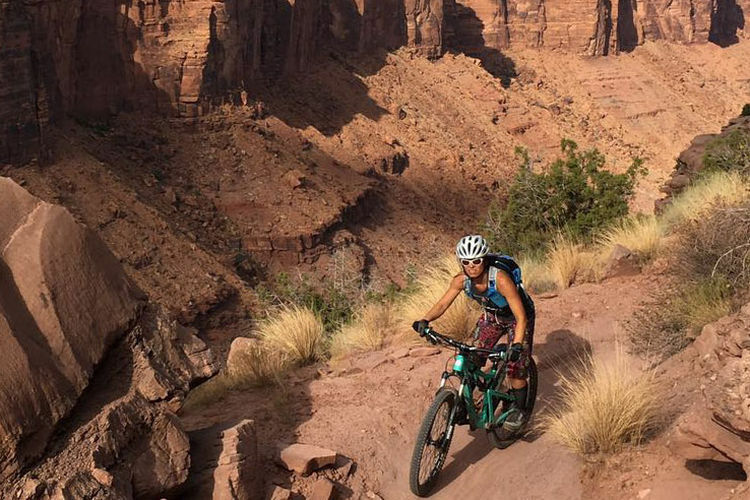 She realizes that doing these activities is a vehicle for her to get to the beautiful places on this planet as well as to make strong bonds with people through the joy and the challenge of being outdoors.